APGVB Bank Syllabus 2015 Clerk Exam Papers, PO Model Question Papers : 1. Andhra Pradesh Grameena Vikas Notification 2015 for the recruitment of Officer, Clerk and Office Assistant vacancies, APGVB bank invites applications. To assist our readers we have published some Andhra Pradesh Grameena Vikas Bank (APVG) clerk exam papers and PO model question papers on our site. Candidates who wish to apply for these posts must visit the official website http://www.apgvbank.in/ and apply online. 2. 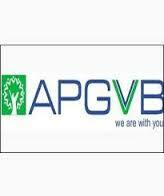 Syllabus and exam pattern of APGVB Bank Clerk and PO written exam. APGVB exam for Bank Clerk and PO posts is an objective type written examination which consists of 200 questions each carrying 1 mark. Hence the exam will be for 200 marks and duration of exam is 150 minutes. You can find below mentioned sections in the question paper. 1/4th mark of a question will be deducted for wrong answer. So, candidates be cautious while attempting the unknown questions. Based on the performance of the candidate in written exam and interview, selection of a candidate will be done. Hence prepare well for these tests to succeed. 4. Candidates join us on Facebook for latest news and updates about APGVB Bank Recruitment 2015, APGVB Bank exam results 2015. Bookmark our page or subscribe to us for instant updates.